Semarang │(17/09/2018) Today, one of Unimus lecturers will be participated in the international staff mobility program to Europe. This special event will be joined by Dr. Stalis Norma Ethica, M.Si., lecturer of D3 Medical Laboratory Technology Department. She will visit Italy and United Kingdom (UK). 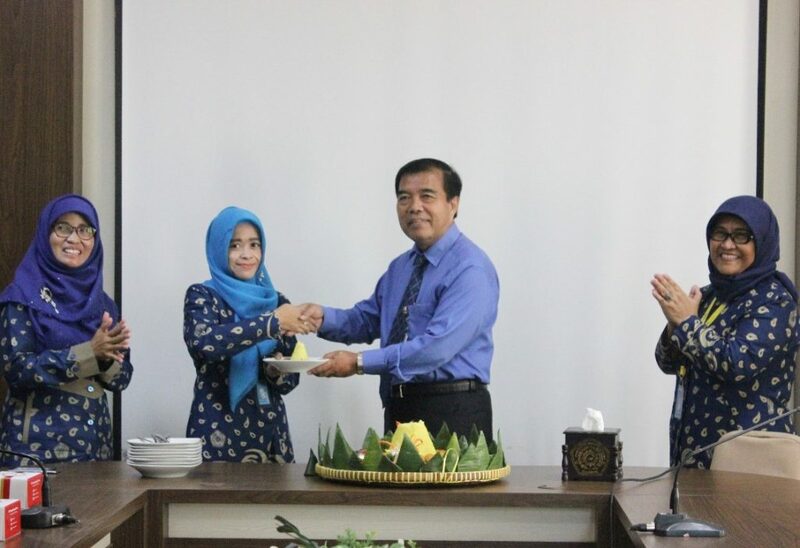 The ceremony was opened by Rector of Unimus, Prof. Dr. Masrukhi, M.Pd assisted by Vice Rector I, Dr. Sri Darmwati, M.Si, Vice Rector II, Dr. Sri Rejeki, M.Kep, Sp.Mat, Vice Rector III, Samsudi Raharjo, MM, MT and Director of IRO, Muhammad Yusuf, PhD. This agenda was conducted after a weekly Monday Morning Prayer program, (17/09/2018). Norma will participate in two distinguished international programs. First, she will be the invited presenter on Euro-Global Conference on Food Science, Agronomy and Technology (FAT’2018) on 20-22 September 2018 in Rome, Italy. Besides she will also join Advanced Short Course on Molecular Biology entitled Next-Generation Sequencing (NGS) Bioinformatics in Wellcome Genome Campus Cambridge of United Kingdom on 7-13 October 2018. This extraordinary lecturer who has just received three Intellectual Property Rights year 2018 admitted that to reach this achievement is not an easy thing. She underwent several rigid selection process from Wellcome Genome Campus UK selection team panel. 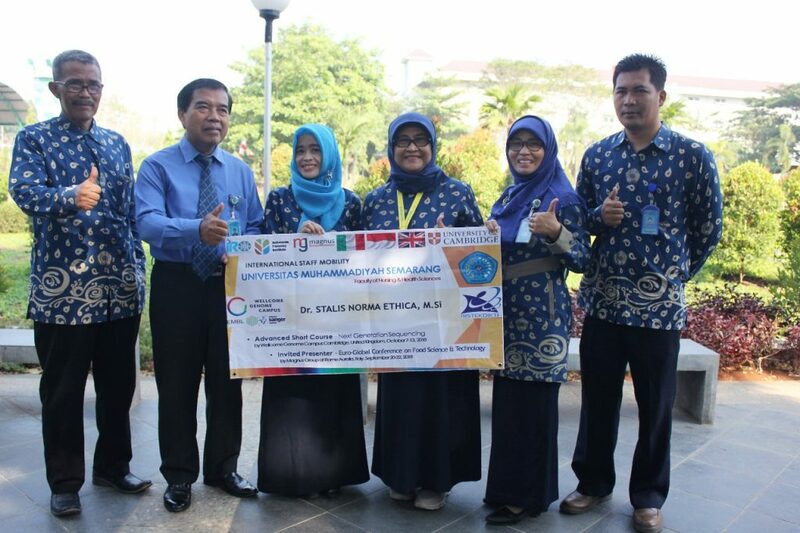 The conference is a grant from Kemenristek Dikti while the short course is a grant from Genome Campus Cambridge of UK. In another occasion, Prof. Dr. Masrukhi, M.Pd expressed his highest appreciation for the achievement. “We really appreciate Bu Norma for her outstanding achievement. Besides, it hopefully can inspires young lecturers to join similar events. This international staff mobility program is the manifestation of realising Unimus vision such as to be international-minded university. “We do expect your departure to Europe may bring good experiences then to make it happen in Unimus. And don’t forget to promote Unimus in every occasion there,” he added. Through so many achievement received by Unimus lecturers, students, and staffs, Rector of Unimus also expect that Unimus is going to shine brighter in Indonesia and across the international level.